A company called SteppIR Antennas, Inc. offers a unique solution to the problem of using one antenna for many bands. Their flagship products are Yagi beam antennas for masts that adjust element lengths for frequency, front-to-back ratio, etc. Since they tune dead-on to the desired frequency the Yagi proportions do not ever have to worry about the third Yagi parameter… antenna bandwidth. They use flexible copper strips which are extended or retracted depending on the desired antenna tuning. For some while, SteppIR has offered two vertical versions of this adjustable length antenna: one for 6-20 meters, the other 6-40 meters. Also, an optional base load coil option is available to extend band coverage to 60 and 80 meters. …offers an excellent view of what is inside the control boxes of the BigIR Vertical and the 80 meter coil. You get an instant appreciation of how SteppIR Antennas, Inc. has addressed how to make an antenna element move in and out in an almost infinite number of positions using a stepper motor. The 80 meter optional coil is also a clever way to extend the capability of this antenna to the lower bands albeit with compromised performance indicative of any “electrically short” radiator. This is, of course, due to antenna physics, not anything SteppIR Antennas, Inc. did. …also shows a photo of the inside, but which does not immediately reveal this is a custom switch using printed circuit board (PCB) material. The 80 meter option assembly is very large and I began to wonder why. Because the 80 meter option is a tapped inductance, as clearly shown in the photos contained in the web site referenced above, one might consider using high quality RF switches or relays to select the amount of inductance. A switch to bypass the coil entirely when using the SteppIR BigIR for 40 to 6 meter work is also sensible. What the photos on the web site above made clear is SteppIR Antennas did not use RF relays to perform the select-coil-tap function, but manufactured their own switch using printed circuit boards arranged in a rotating contact switch operated by a stepper motor. They are capitalizing on the great experience they have with stepper motors and the way they control it with their desktop controller. As noted by the fine folks on the SteppIR email list, the coil taps have potentially large voltages that could easily arc over relay contacts when operating at higher powers. My original version of this post omitted this important point. 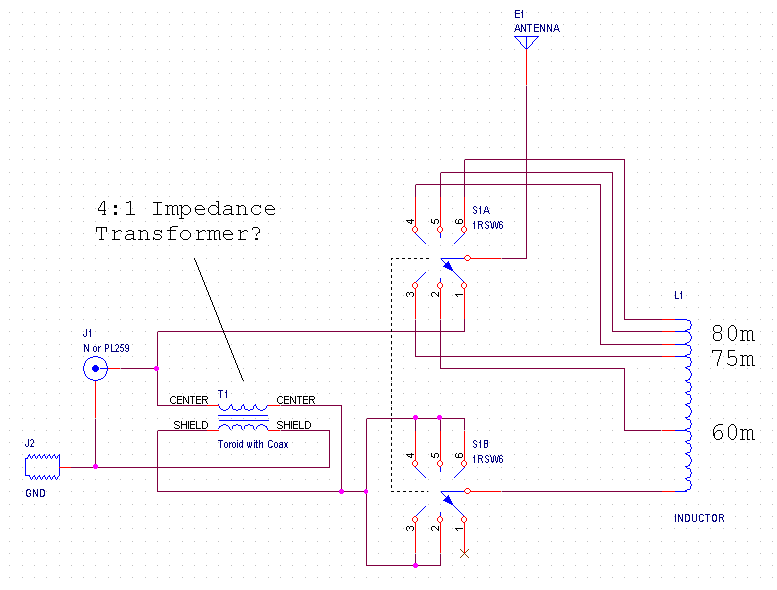 Now I understand why SteppIR went to such trouble to produce a very large switch with large separation between the “contacts” to handle the high voltages present. 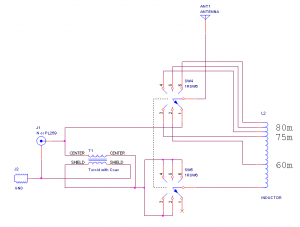 The cuts in the PCB material between each switch contact point reinforce this idea. Home-Brewish Inductor Tap Switch – The flimsy nature of this system still begs for a better approach, but I have to admit I cannot think a better approach in this price class. Stiff wires on the moving switch contacts produce stress – high strand count wire may make better sense. Weather exposed terminal connections for the stepper motor wiring – I would pay extra for a good connector approach option. PCB trace-widths may not handle full power at the the 1,500 watt rating especially with the higher currents feeding the lower impedance of a short monopole. My calculations for 10 °C rise for the currents expected into, say, a 25 ohm antenna start at 0.1 inch with 2 oz. copper thickness. The PCB board has ample room for wider trace widths. Power off default is potentially undefined. The BigIR was a contender for my vertical antenna needs. The enormous 80 meter option is a reasonable value at under $400 and would be a for-sure purchase if it wasn’t so large and I had not seen the inside home-brew switch. Still, the high voltage tolerance of SteppIR’s unique rotating PCB switch is a clever affordable solution that brings a good solution at a good price point… nothing wrong with that. In SteppIR Antennas’ defense, product development can be quite problematic, especially when targeting products for notoriously stingy hams. The fact they have products for us to buy with their unique twist is a good thing for amateur radio. The most interesting portion of this schematic is the wiring of the coax wrapped toroid. It is another clever SteppIR design feature that helps match 50 ohm coax with the ~ 14 ohm impedance of a series inductance base loaded monopole antenna. You are doing a good job SteppIR Antennas. With a few tweaks you will have a near perfect product. On the other hand, for the price you just might already be in the proper sweet spot of value. SteppIR, please take note… I would be delighted to pay another $100 for a good weather proof connector for the motor signals.